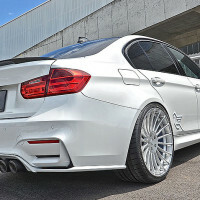 The Hamann accessories program for the BMW M3 F80 includes aerodynamic parts of visible carbon-fiber and lightweight plastic, special wheel and tire combinations in various rim designs, as well as performance optimization of the engine. 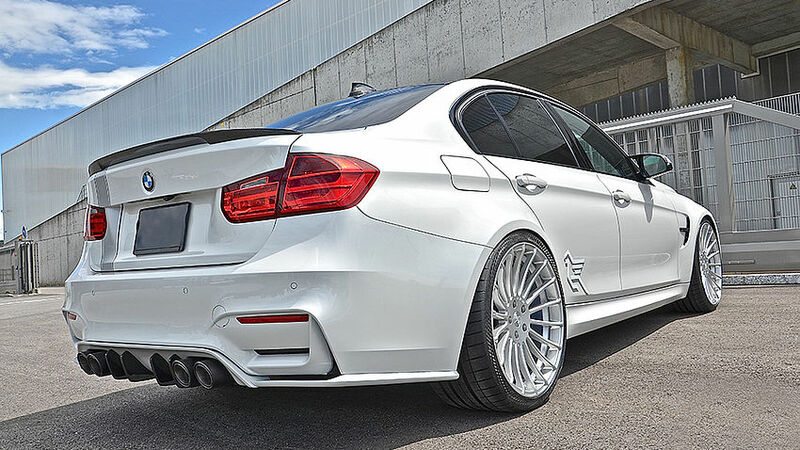 Our chassis and brake parts, as well as the BMW M3 sport muffler contribute to further optimization of the vehicle. 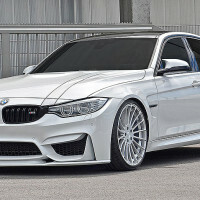 Attractive accessories for the interior masterfully round out the extensive program offered by Hamann for BMW M3 F80 Tuning with its sporty credentials. 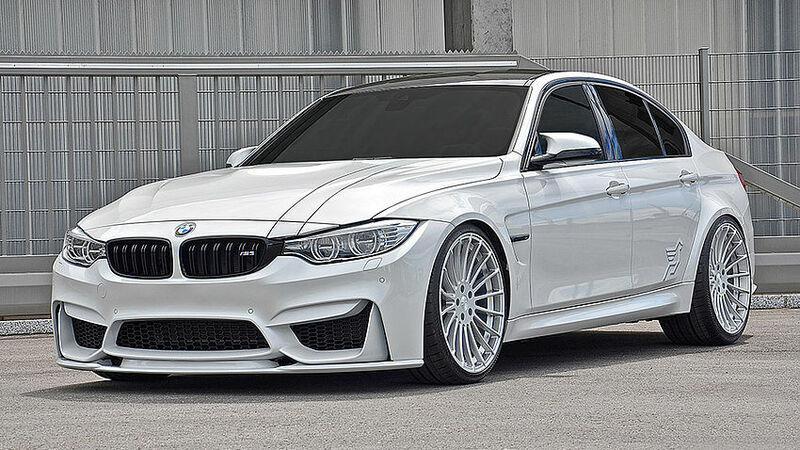 The 5-piece rear wing kit for the BMW M3 F80 Tuning is derived directly from motorsport. The rear-wing kit that can be painted in the vehicle color is mounted on the trunk deck of the vehicle and visually and technically ensures a successful rear end of the vehicle. It has been optimized for the special requirements of road traffic with regard to suitability for approval, yet nevertheless it is highly effective. The undesired lift of the vehicle on the rear axle is significantly countered with the rear wing kit. Thus the tracking stability of the vehicle, particularly when taking curves at high speeds, on the Autobahn, for example, has been further improved. Likewise, the design of the underside rear end with its four fins in visible carbon-fiber has clear motor sport influences. The fins ensure that the turbulence of the air flow under the vehicle is neutralized. This not only improves road handling, it also ensures reduced fuel consumption.